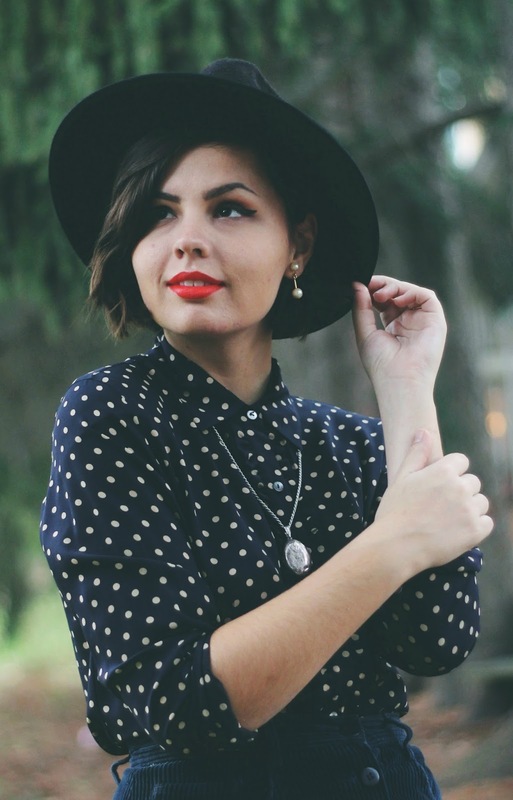 Polka Dot Blouse (similar, only $12! ): Thrifted. 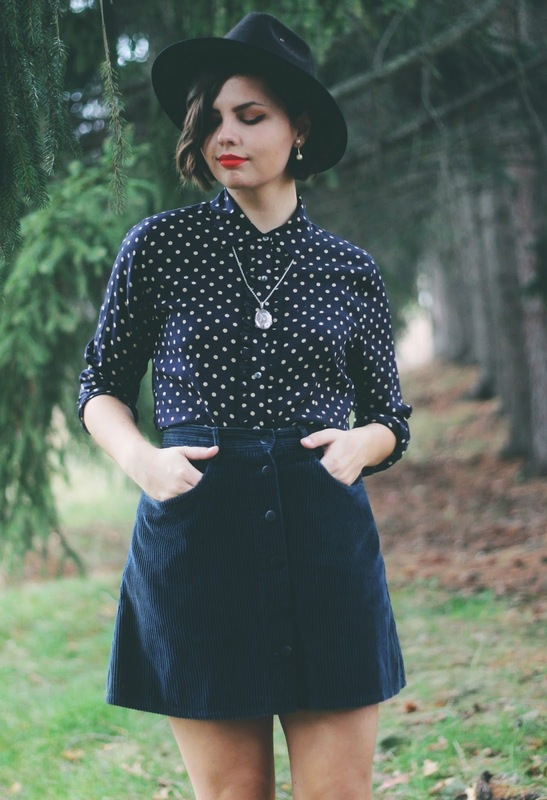 Corduroy Button Front Skirt (very similar): Thirfted. Silver Locket Necklace (similar from JCP): Thrifted. Hat (similar): c/o OASAP (old). Lace Up Boots (similar): H&M. Your eye makeup is perf. I couldn't help but read this post and think of myself:) My love for thrifting can easily get out of hand sometimes too and when I have a break from school and homework that is usually where I end up.It truly does add up and with a college students pocketbook that is not always good...LOL! 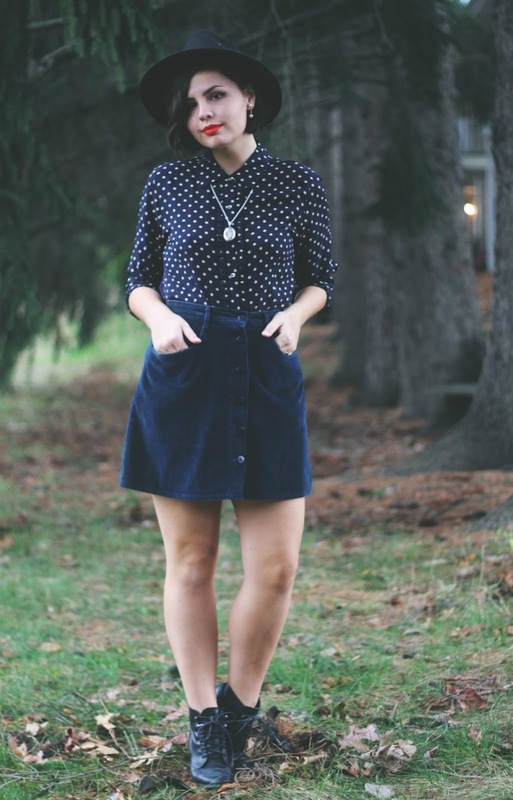 Thanks for sharing your finds and such a lovely ensemble...totally LOVE that skirt! So pretty ! 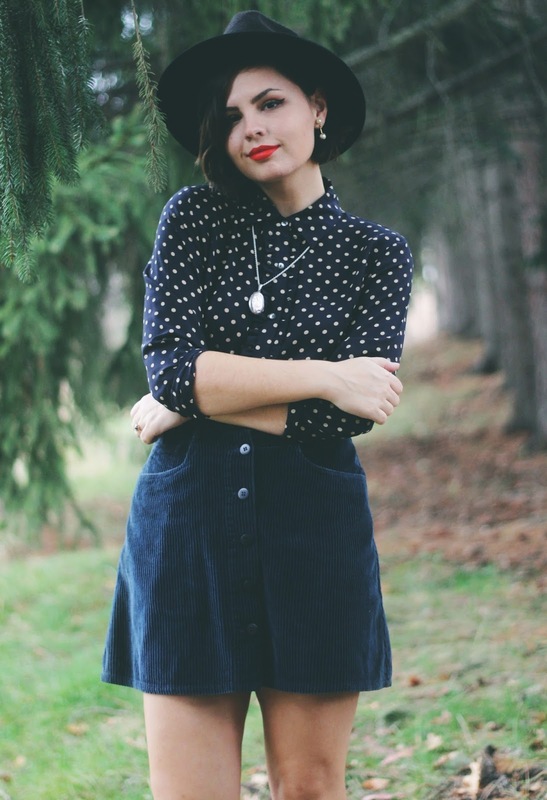 I love that blouse and skirt. That is the most PERFECT skirt! Great find! You are more beautiful every day! Fantastic thrift find! I love it with the polka dot top too. 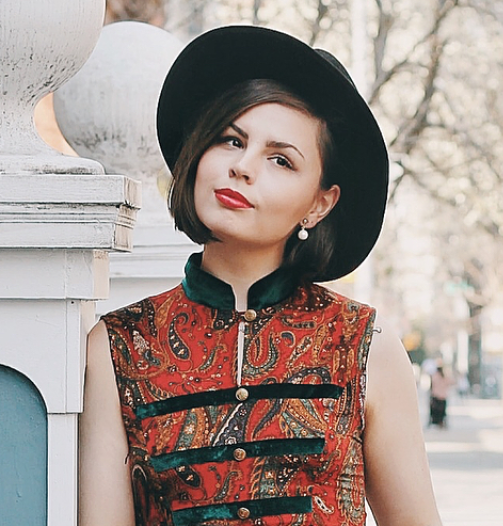 This is making me want to go thrifting asap. Maybe I'll do that when I head home for Thanksgiving! Such a cute outfit! I love that blouse. Someone Like You is Six! Hello From the Other Side. Kate Spade Wallet: The Stacy. You Can't Always Be Alone. Design by Jessica. Powered by Blogger. How to Edit Your Instagram Photos to Look Vintage.